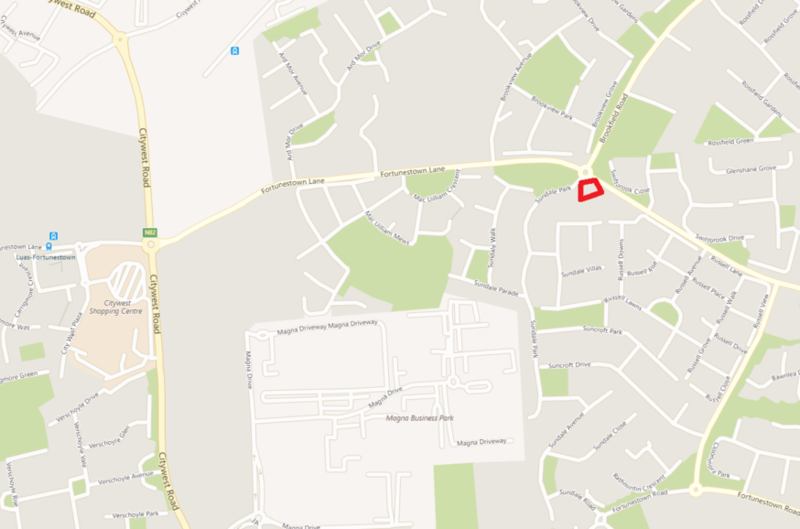 Attractive and prominent location on one of the main routes leading from Tallaght to City West. 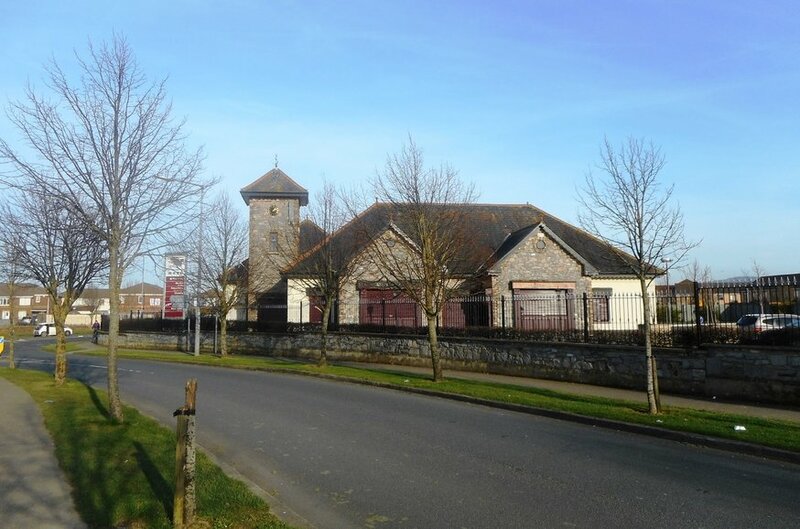 High profile detached building with clock tower that has been converted back to large open space areas and suited to many uses. 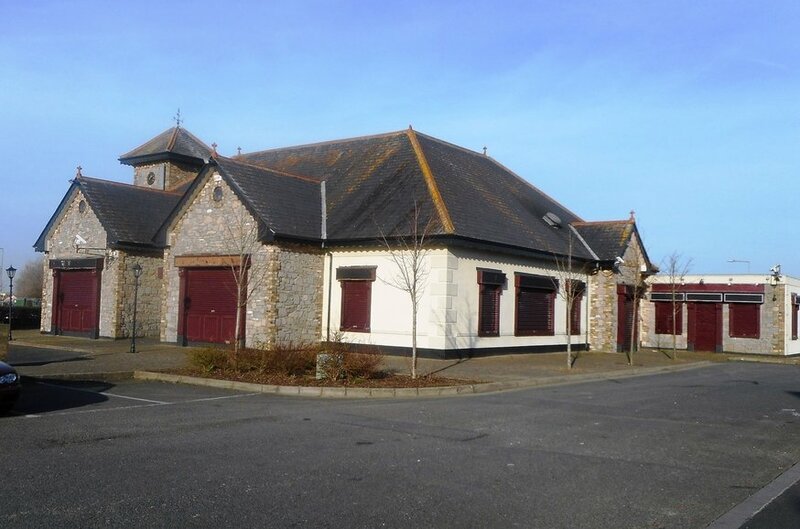 Quality building with extensive car parking and adjoining existing commercial units. Beside Russell Square Centre with a range of retail and commercial outlets and extensive car parking. 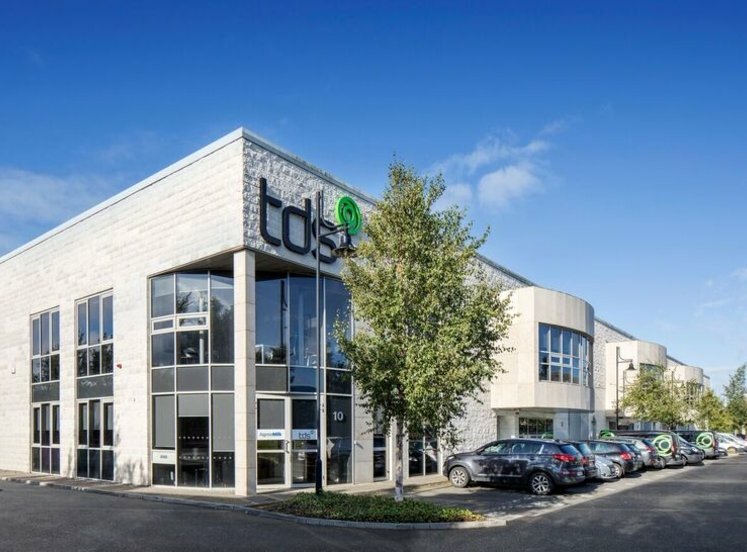 This is a busy location with a large volume of passing vehicular traffic and close to many large housing estates, City West Shopping Centre, Magna Park, City West Business Park, the Naas Road, Tallaght Hospital, The Square SC, and the LUAS Red Line. The property formerly traded as Molly Heffernan’s Public House and is situated immediately adjoining the Russell Square Centre within the extensive car park. 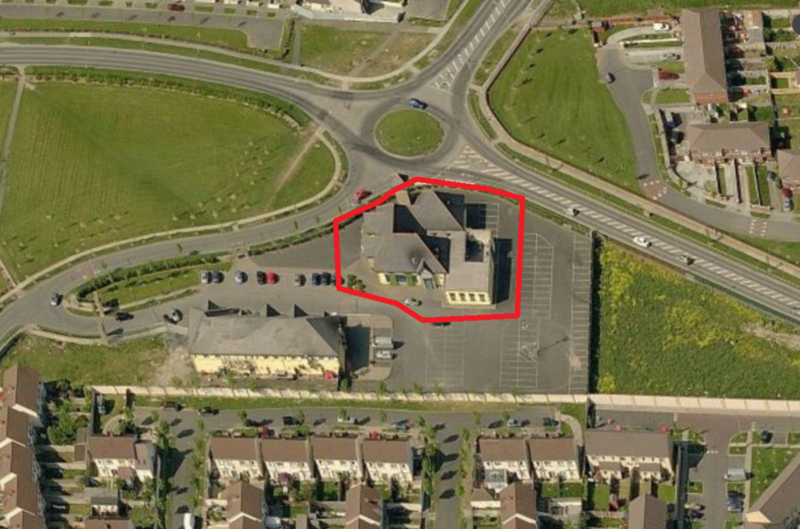 The property is situated in a highly prominent position overlooking the roundabout that connects Fortunestown Way, Fortunestown Lane and Brookfield Road. The property itself has an attractive appearance with a distinctive clock tower. 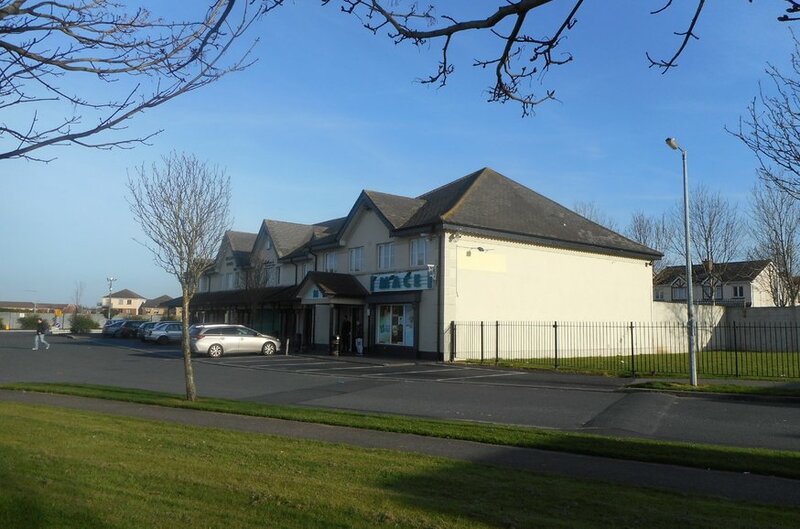 It is situated beside the Russell Square Centre which is fully let and which offers a range of retail outlets to include convenience, pharmacy, hair salon, take away, studio space and offices. 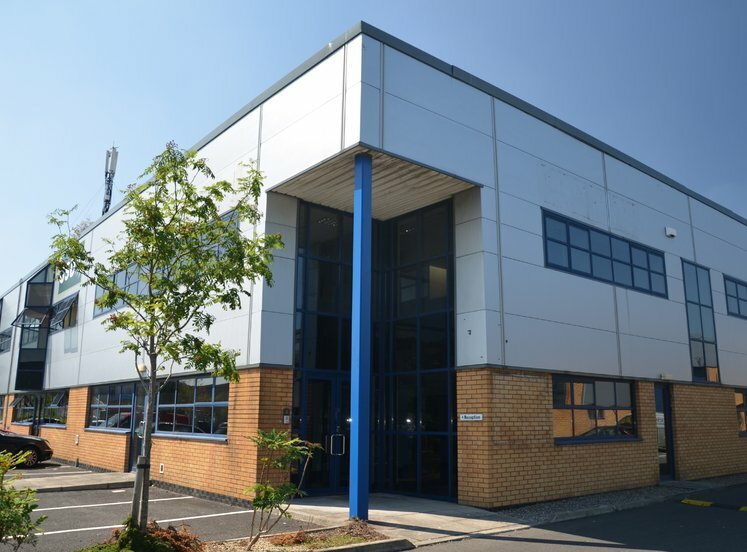 These are very extensive ground floor premises along with an additional first floor level within the roof space with concrete floor. This area has excellent potential for the creation of additional space with natural light (subject to planning permission). The public house ceased trading in late 2017 and since then the public house equipment, counters, furniture, fixtures and fittings have been removed to create excellent open plan areas that are now suited to a wide variety of uses (subject to planning permission). 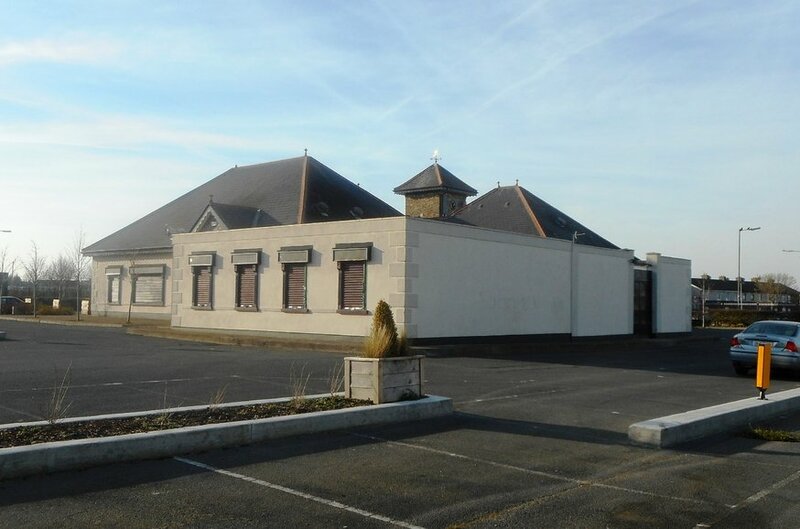 The property has been in public house and office licence use for the past 20 years and due to changes in that business generally it has been decided to offer the property to let for alternative uses only. 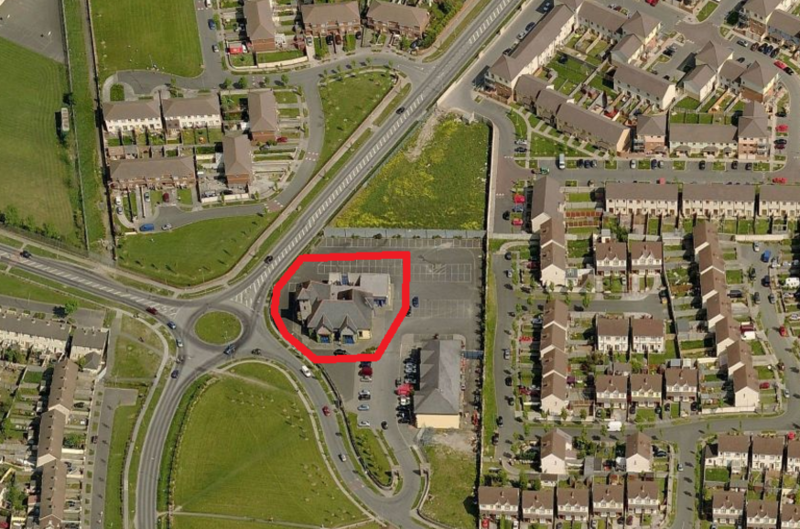 The 7 day publican's licence is no longer attached to the property. The property has been converted back from public house use into a number of large open plan areas and has good natural light and excellent services and facilities. The gross internal area extends to approx. 604 sq.m. (6,500 sq.ft.) 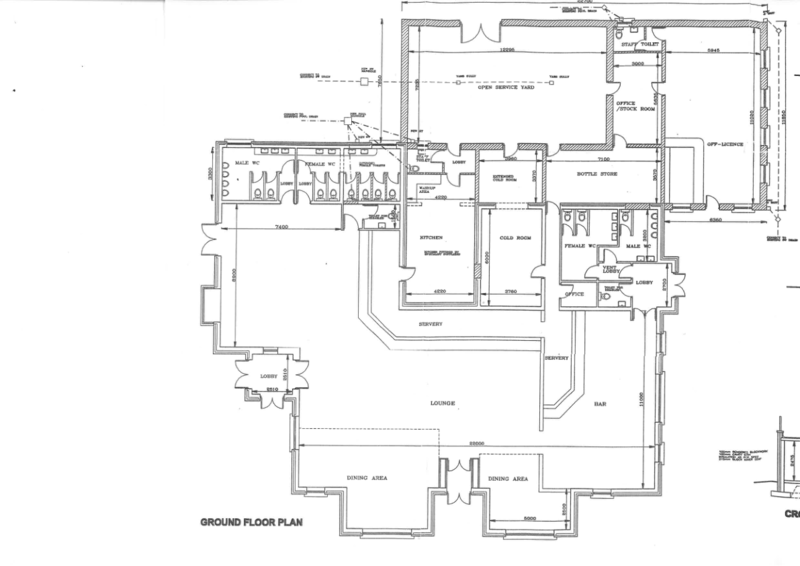 plus extensive first floor storage areas with potential for conversion (subject to planning). Permitted in Principle: Uses include: Childcare Facilities, Community Centre, Cultural Use, Doctor/Dentist, Education, Enterprise Centre, Funeral Home, Garden Centre, Health Centre, Offices less than 100 sq.m, Off-Licence, Petrol Station, Place of Worship, Primary Health Care Centre, Public Services, Recreational Facility, Restaurant/Café, , Shop-Local, Shop Neighbourhood, Social Club, Veterinary Surgery. Open for Consideration uses: Uses include: Motor Sales Outlet, Office-Based Industry, Offices 100 sq.m - 1,000 sq.m, Science and Technology Based Enterprise, Service Garage, Sports Club/Facility, Wholesale Outlet. A new lease is available on flexible terms to a suitable tenant, subject to planning permission for change of use for an acceptable purpose.